The Gibb River Road runs through the heart of the Kimberley Region in far north Western Australia and remains one of the iconic roads to travel on within Australia. The road used to be so remote and difficult to cross that you needed a fully equipped four wheel drive, be self sufficient with water and food and not dare to travel it alone. You wouldn’t even consider towing a trailer through there, let alone a caravan. However like many other roads throughout Australia, the GRR, except during the wet season, is constant being upgraded. The Gibb River Road has become so popular in recent years that it’s not uncommon to pass an oncoming vehicle every 30 minutes during the middle of the dry season. In the past you would have been on your own if something went wrong. If you break down today on the GRR, it doesn’t take long until another car comes along. Even when we travelled the Gibb River Road towards the end of the dry season, we were still passing oncoming vehicles every few hours. Even though the road is in better condition than years gone by, there is still no room to be complacent. A good tip that a local gave us when traveling the GRR was to remain with the vehicle if you broke down. Its not always possible but he advised to leave at least one person with the vehicle, camper or caravan. Why? Because when you get back, there won’t be much left! 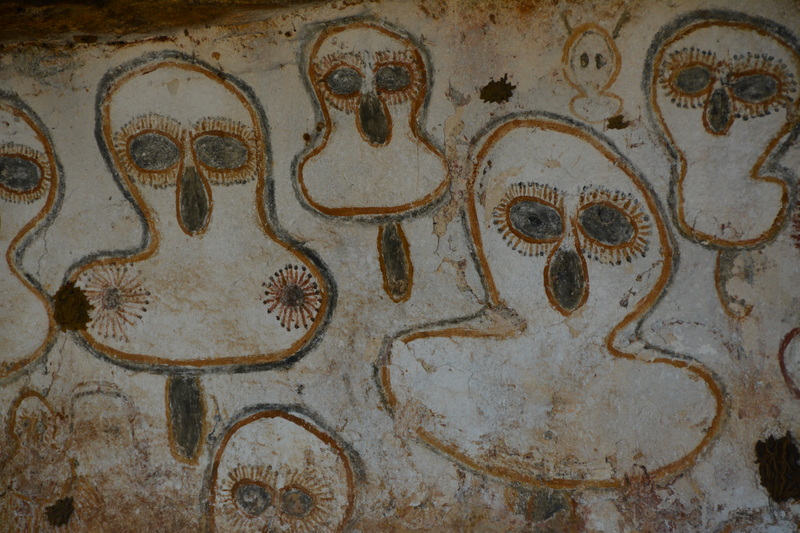 I heard a few stories about this happening when we travelled through the Kimberley. One such story was about an unfortunate male who had a heart attack and passed away while travelling the Gibb River Road. His wife flagged down another vehicle and they both got a lift into Kununurra, 350kms away. On her return with a tow truck a couple of days later, they found that their car had been stripped including all their camping gear from inside the vehicle. Fuel and food supplies are available at several places along the Gibb but be prepared to pay top prices. Fuel at the Mt Barnett Roadhouse has been $2.50 a litre for years. We spoke to the Roadhouse managers at nearby Manning Gorge who said that it takes 14 hours for the fuel truck to arrive from Derby and not uncommon for the truck to destroy 3 or 4 tyres on the road in. He also said that he was often confronted by angry drivers regarding the price of the fuel but they soon calmed down once he let them know how hard it was to get fuel into the middle of the Gibb River Road. If you need fuel, you don’t have a choice of the fuel price and should factor this in when travelling the Gibb River Road. Breaking down on the Gibb River Road is not as scary as it used to be however it’s still a major inconvenience. It can also be a costly one if you need to be towed out of there. Anything up to $4500 is not uncommon. 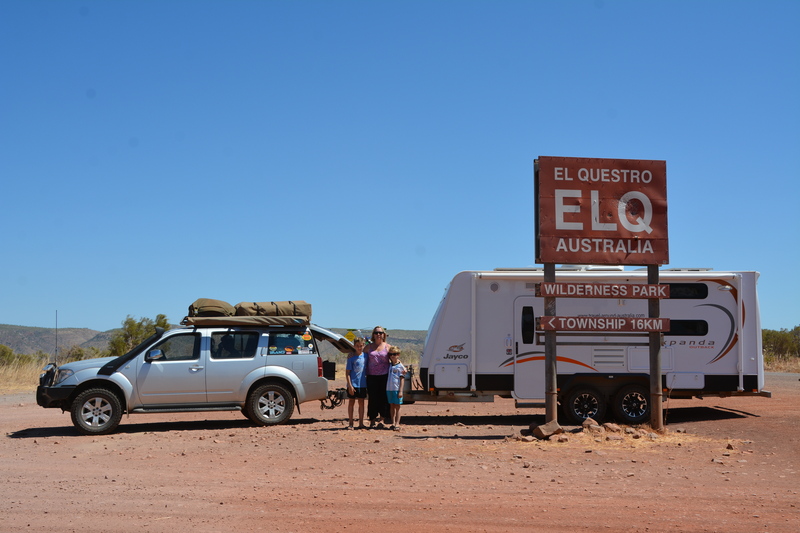 A family that we met in Kununurra were almost halfway across the Gibb River Road and had to go back to Kununurra to pick up a $15 U bolt for their trailer! And that was after getting two punctures within two days. We caught up with them in Broome and they certainly had a good story to tell! Traveling on dirt roads like the GRR can have dire consequences if you drive outside the vehicle’s capability. There have been seven deaths on the Gibb River Road since 1990 and every year travellers do get themselves into trouble because their inexperience is combined with lack of knowledge and lack of preparation. We saw two cars that had previuosly rolled from going into a corner too quickly. I can’t imagine how scary it would be having a major accident in the middle of the Gibb River Road. Slow down and drive to the conditions. Go into the mechanic shops in Kunarurra to see what happens when things go wrong if you need a good reason for taking it easy on gravel roads. 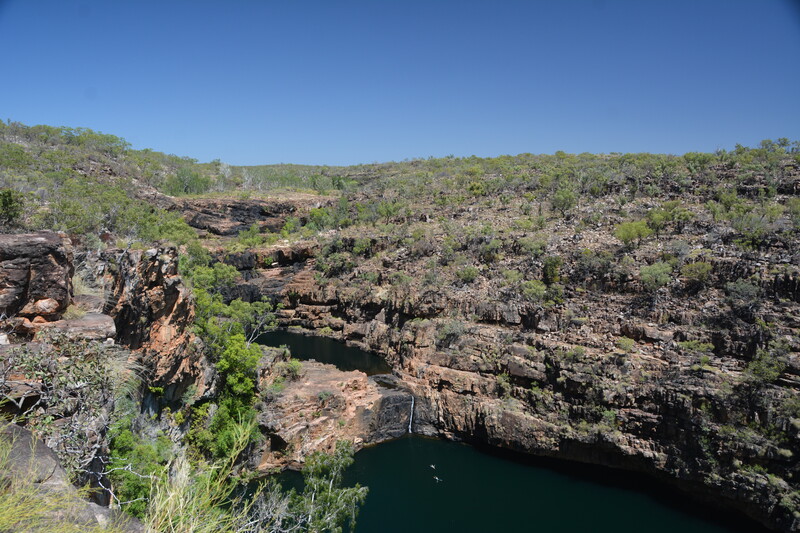 You won’t need a permit to travel on the Gibb River Road, the Kalumburu Road, the Mitchell Plateau Track or to access any of the popular gorges. However, you will need a permit if you want to drive into the Kalumburu Aboriginal community, and you have to organise it before you leave. Its pretty easy to do it online at the Department of Indigenous Affairs. If it is not Aboriginal land or National Park then it is private land owned by Station owners. 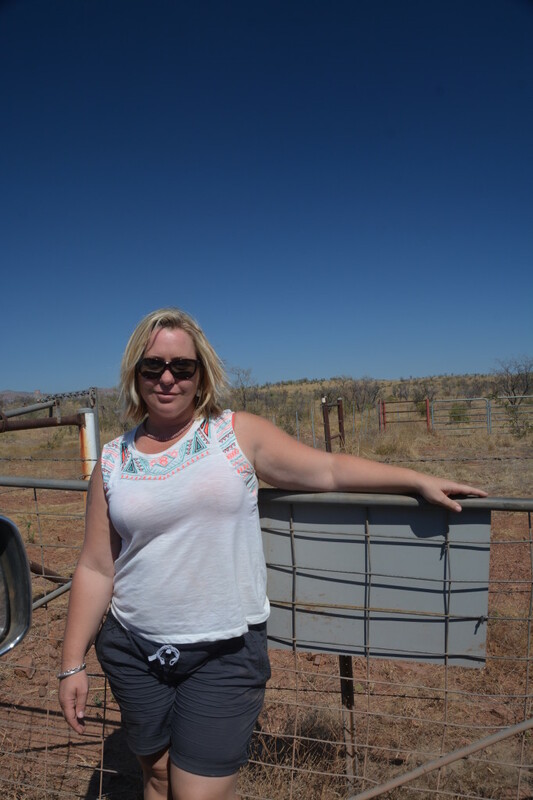 All the land either side of the Gibb River Road and other roads in the area is land owned by Cattle Stations. If you wish to explore the Cattle Stations, you will require permission from the owners prior. We did one such trip along the Munja track which is located in the heart of the Mt Elizabeth Station. It goes without saying that you need to make sure your vehicle is mechanically sound and checked over and serviced before you leave. 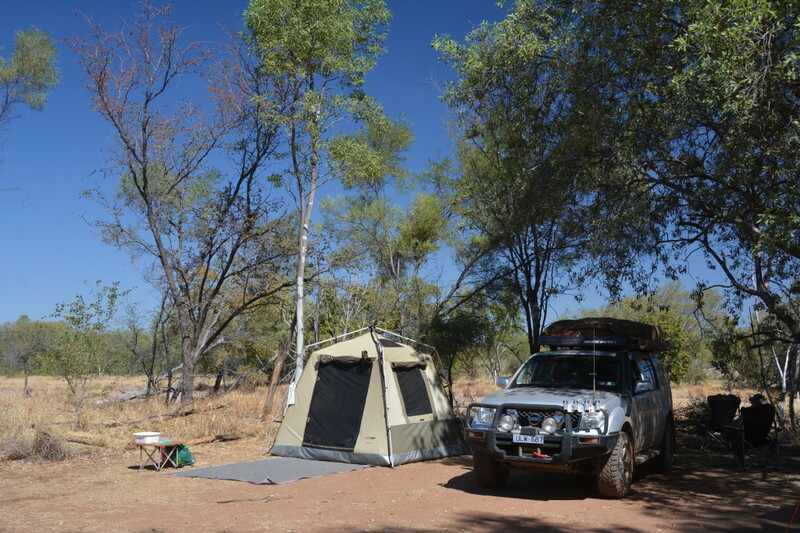 The off-road specialist mechanics in Broome and Kununurra are extremely busy during the dry season so ensure you book your car in prior to arriving on the GRR. Breaking down out in the middle of the GRR can be very expensive and can run into the thousands to get towed out. If you have limited or no four wheel drive (4WD) experience or are driving a hired car make sure you familiarise yourself with your vehicle. Know the limitations of the vehicle and know how to engage four wheel drive. More importantly, think about your own ability before driving down a steep track, driving on gravel roads, towing a van on gravel or driving through water. Taking a caravan across the Gibb River Road is certainly doable however be prepared for damage to the van. The corrugations will shake the screws out of the cupboards and test any suspension for weaknesses. Tough, dedicated off-road vans will tackle the road fairly easily but make sure they really are meant for rough terrain. Many “off-road” vans are not true offroad vans. Don’t even think about taking an onroad van across the Gibb! We did the Gibb River Road in a Jayco Expanda 18.57.9 Outback and ended up with quite a few screws falling out of cupboards, drawers and even out of the gas bottle bayonets. Other than that, we were lucky. 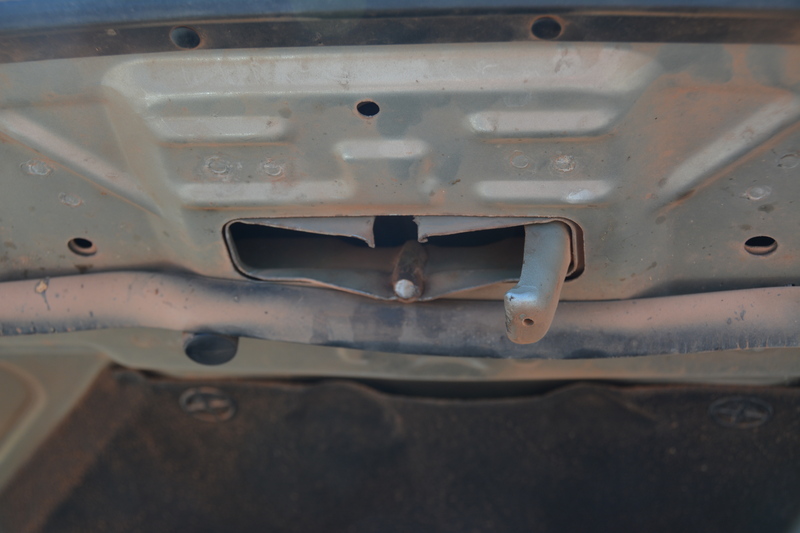 We met a family who ended up with a cracked suspension from travelling the Gibb River Road. Off-road camper trailers are usually ok, but the stronger built ones will survive the trip in better shape. Again, not every trailer called off-road is really suitable for the Gibb River Road. Like travelling Cape York, you will come across the odd broken trailer that has just been left on the side of the road. Pretty hard to pack the camping gear from the broken trailer into the vehicle. Anything you are towing on the Gibb River Road will most likely sustain some sort of damage. How well your van or trailer survives the trip depends on the driver more than anything else. If you are towing, make sure you drop your tyre pressures and speed and drive to the conditions. Taking a softroad vehicle (AWD) across the Gibb River Road during the middle or late in the dry season is possible but you should prepare yourself for tyre damage. The start of the dry season still has deep river crossings that soft readers aren’t equipped for. Most soft readers will still e their standard road tyres that came with the vehicle. We came across two vehicles at Silent Grove that had blown tyres and only travelled from Derby! Softroad vehicles also run the risk of severely damaging the vehicle in one of the river or creek crossings because of their low clearance. The Gibb River Road can at times be heavily corrugated, especially in the middle section around the Kulumburu Road. It gets graded regularly which certainly improves it, but that never lasts long with the amount of traffic travelling across it. Generally, because of the terrain, the northern section of the Gibb River Road is mostly rocky , middle section sandy and the southern section a mixture of both. Each year there are road improvements that make sections like a gravel highway similar to the Cape York Development Road. 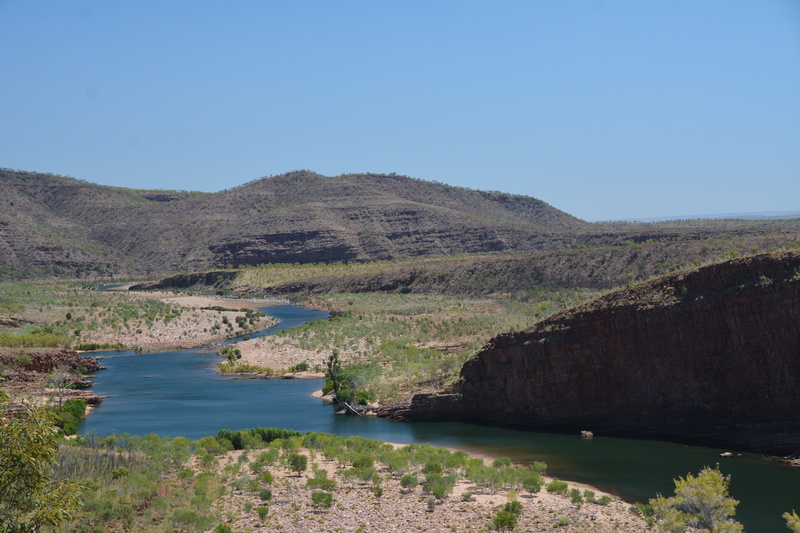 We may even see the Gibb River Road sealed in the next couple of decades as it’s certainly possible with the amount of traffic traveling along it each dry season. At the start of the season (April/May) you may also encounter holes and washouts left after the wet season rains. Washouts will destroy the best suspension out there. We saw one washout in Cape York that could swallow a car! All the steep sections of the Gibb River Road where it climbs across the ranges have been sealed. I can’t even imagine how hard it was years ago when these sections were dirt. I don’t think I would have been towing the 3 tonne Jayco Expanda across it! The Gibb River Road is closed during the wet season due to the rivers running high to cross and the road turning into a slippery mess. The date it closes and reopens depends on the weather and amount of rain the Kimberley receives. There is a road condition sign at each end of the Gibb River Road outlining whether or not the Gibb and it’s connecting roads are open or closed. 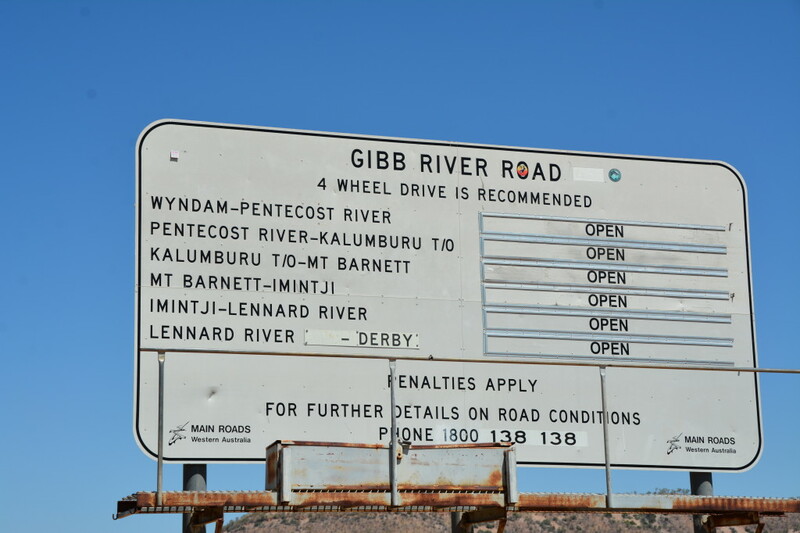 The Gibb River Road is usually open from May to November. However, if you’re travelling early or late in the season, it’s advisable to check the road conditions and water depth with the local authorities and be prepared to wait in Broome or Kununurra until it opens. We sat on 50 kph or less for the entire time we travelled on the Gibb River Road but then again we were towing a 3 tonne caravan. Im sure that there were sections of the road where you could travel at 70 kph but you need to be very conscience of your speed. Most of the accidents that occur on the Gibb River Road are due to excessive speed travelling on a gravel road. Its very easy to increase your speed without realising while travelling for 600 kilometres however the Gibb River Road can bite very hard. The Gibb River Road is famous for its sharp rocks and has a bad reputation for shredding tyres. You should try to take at least two spares but a lot of people don’t have the space to carry the extra one. My biggest tip is to ensure you have good strong tyres with plenty of tread and strong sidewalls. We run the Cooper ST Maxx on the Pathfinder and haven’t had any issues with them except for a bit of chipping. We were pretty heavy in the rears from all the camping gear and caravan so we dropped the pressures down to 28 psi. In the fronts, we dropped them to 25 psi while travelling on the Gibb River Road. We met one person who was getting close to 80 years old and kept his tyre pressures at 40 psi because he didn’t want a cut in his sidewalls. Good on him for travelling to Bell Gorge and Windjana and giving some of the Gibb River Road a go. Unfortunately, he cut a tyre on the sharp rocks on the road into Bell Gorge and his only spare was a road tyre. He was a bit stressed to say the least about getting back to Derby. 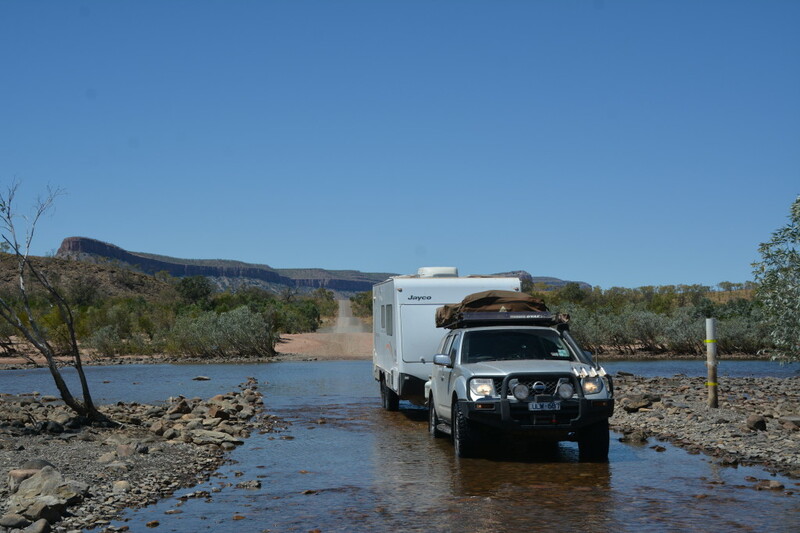 River crossings on the Gibb River Road are only a problem at the beginning of the season. We travelled the GRR with the Jayco Expanda late in the season and didn’t have any problems getting through the water. The deepest was probably the Pentacost River in El Questro Station. A lot of people travel from the north along the Gibb River Road just to cross the Pentacost River, take the mandatory photo then turn around. This section of road is in pretty good condition. Plan ahead where you want to go and calculate the kilometres required. Every vehicle has different fuel carrying capacity and fuel usage. The Kimberley Hema Map is a good reference for distances in the Kimberley. We chose to fill up 3 20 litre containers just in case we needed extra fuel. We ended up using only one because of the low fuel usage required when we did the Munja track. A little extra fuel is good for piece of mind though and we used it all when we knew we had enough in the tank to get to Derby. Diesel is available at several points including Drysdale Station, Mt Barnett and Imitji Roadhouse. Petrol is available as well except at Imintji roadhouse which offers only diesel. LP gas is not available along the Gibb River Road. Don’t rely on Cattle Stations for any fuel unless it is an absolute emergency. Even then, their fuel is pumped from 44 gallon drums which can often contaminate fuel and which modern diesel engines absolutely hate. Several roadhouses along the way sell basic supplies and ice and can keep you going for a few extra days. Mt Barnett Roadhouse has new managers in 2014 that had really filled up the shelves compared to previous years. In fact, they carry around $400,000 worth of stock at any given time, even during the wet season so they can supply the local community and cattle stations. Be prepared to pay a hefty fee for any food at the roadhouses. They need to get the stock from Derby and the freight is expensive. It’s not like getting the Coles truck to deliver to the local supermarket. Expect to pay $15 for a small jar of coffee as a guide. We spent $250 at Imitji and only had 6 bags to show for it! Ouch. Drinking water is readily available along the Gibb River Road. 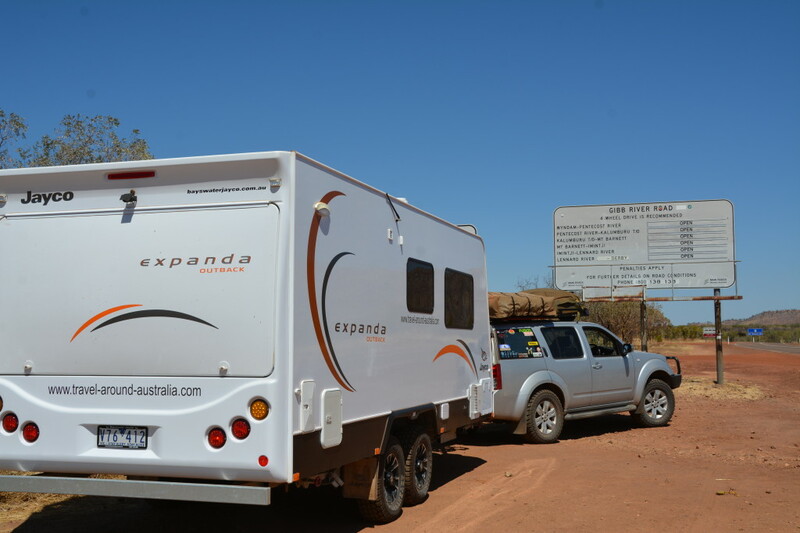 We filled the caravan up from taps at Mt Elizabeth Station, Mt Barnett roadhouse, Silent Grove and Windjana gorge campgrounds. 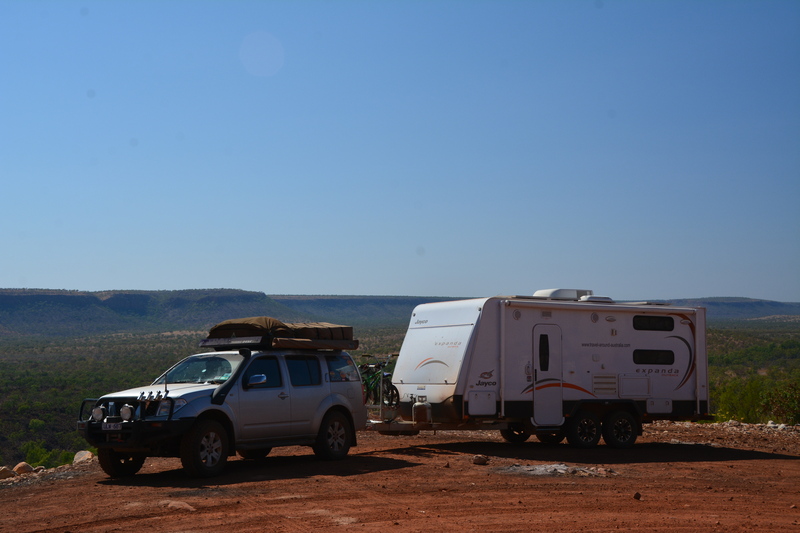 Camping is only allowed in designated areas as everything along the Gibb River Road is private land. While most cattle stations are closed to the public along the Gibb River Road, a few have opened up their gates and welcome travellers to visit. Some of the better stations offer camping facilities, accommodation, meals and tours while some may as well shut their gates because their service and accommodation on offer is just appalling for the price. 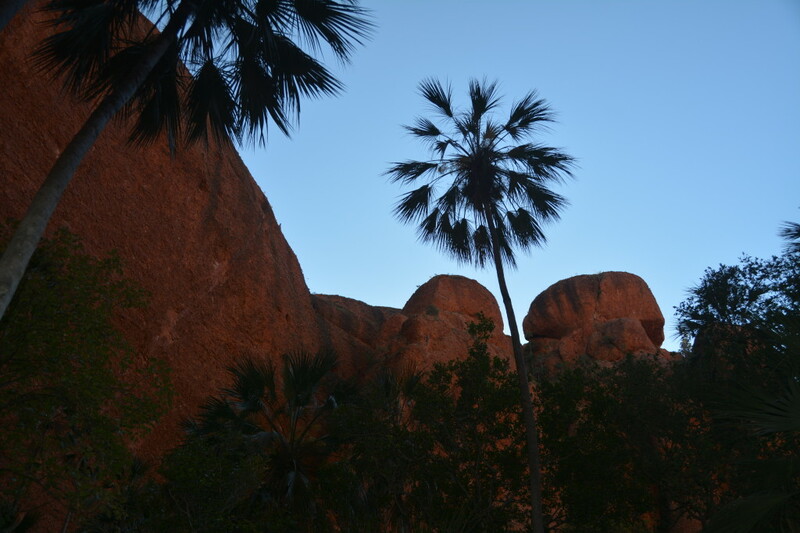 We can highly recommend Mt Elizabeth Station, El Questro and Home Valley to stay for a few days. The 3 of them offer different experiences. Ellenbrae also offers accommodation but I have yet to meet anyone who can recommend staying there. There is a free camp just up the road from Ellenbrae called Russ Creek which has the same features as Ellenbrae, dirt and shade. Gibb River Road was one of our favourite destinations to visit while we travelled around Australia.